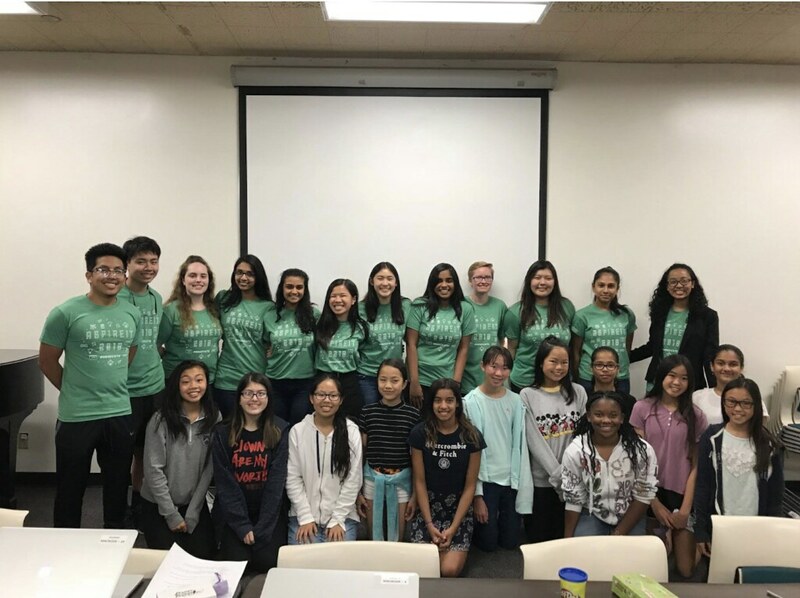 Once again, WICS has organized another successful AspireIT program and this time, it was in collaboration with the Girls Who Code club from Woodbridge High School. 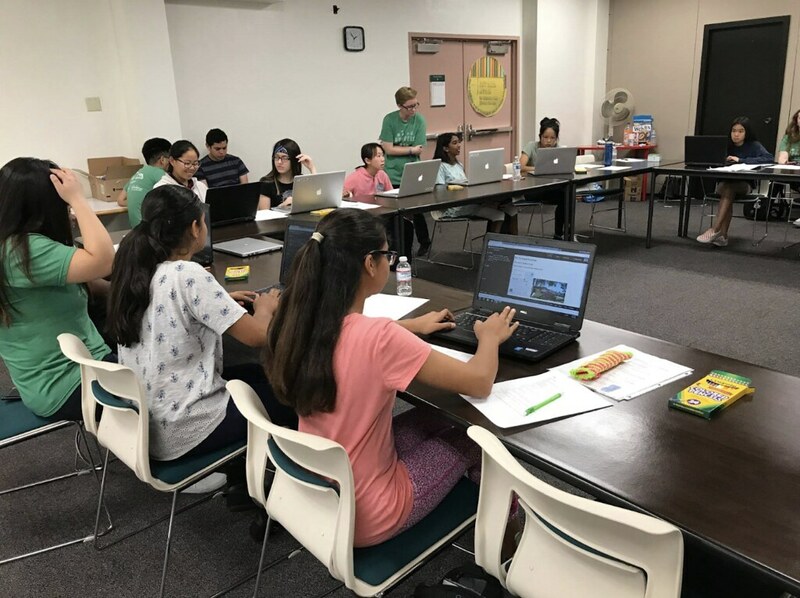 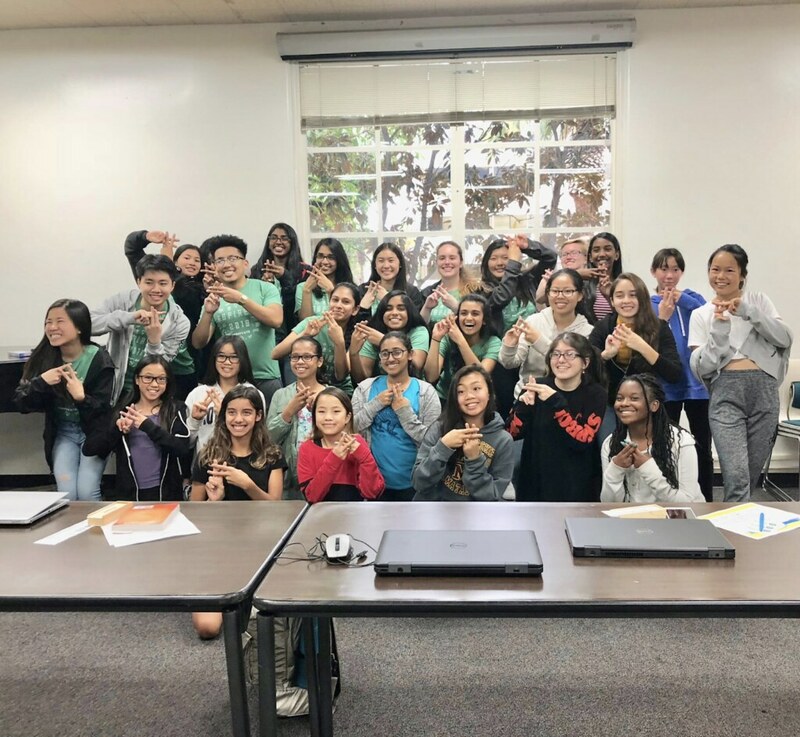 With the help of Avika Patel, a recipient of the National Center for Women and Information Technology (NCWIT) Aspirations in Computing Award, AspireIT was able to kickstart their workshop series aiming to inspire girls to pursue computer science in the future. 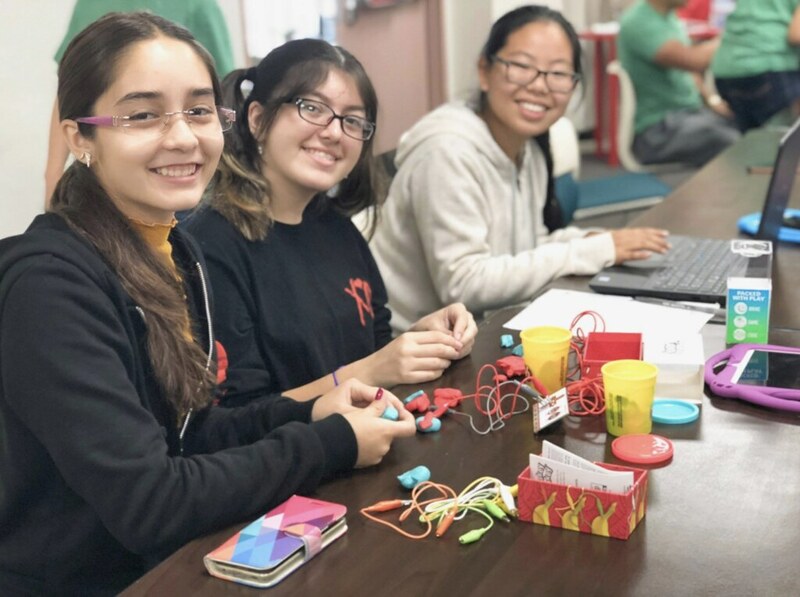 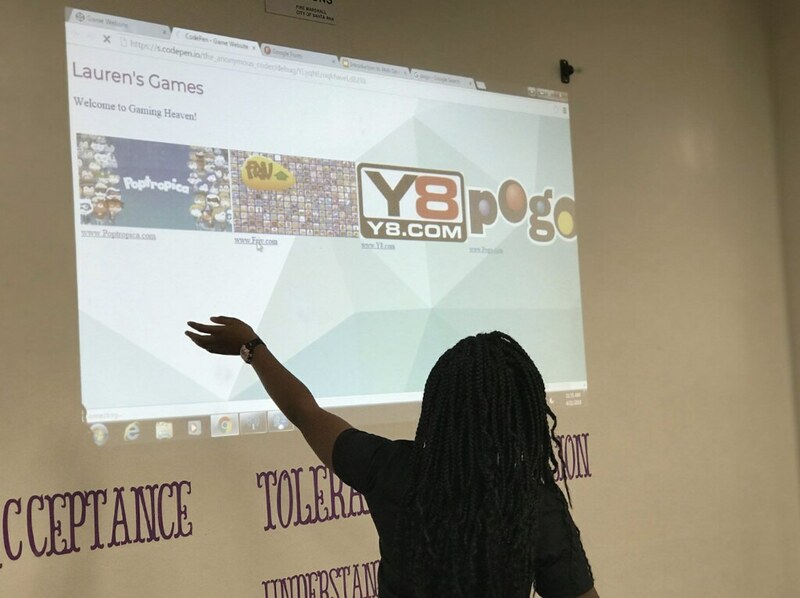 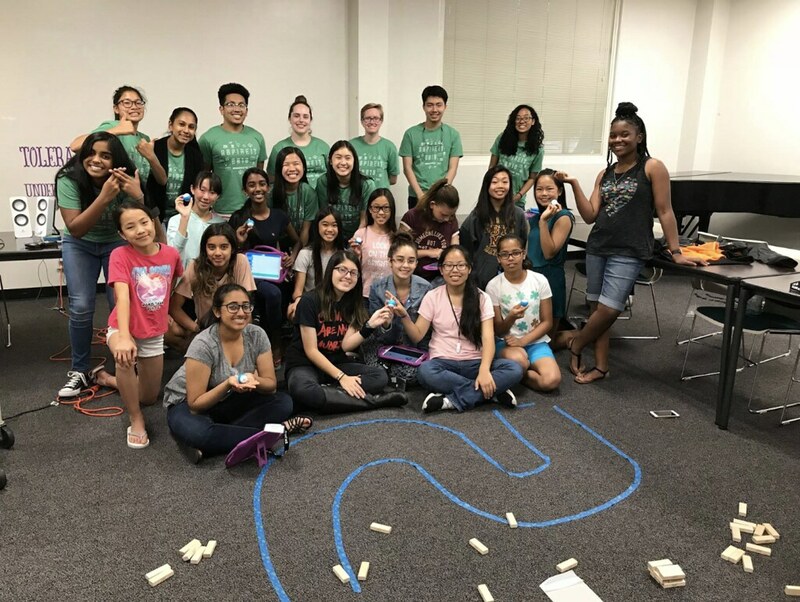 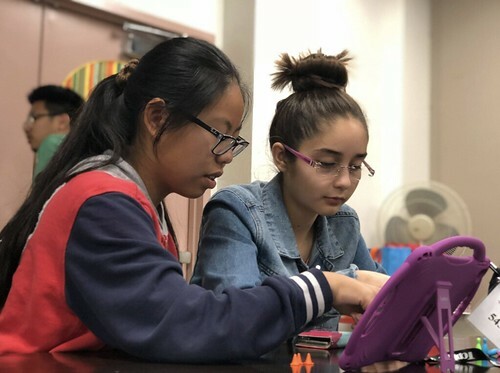 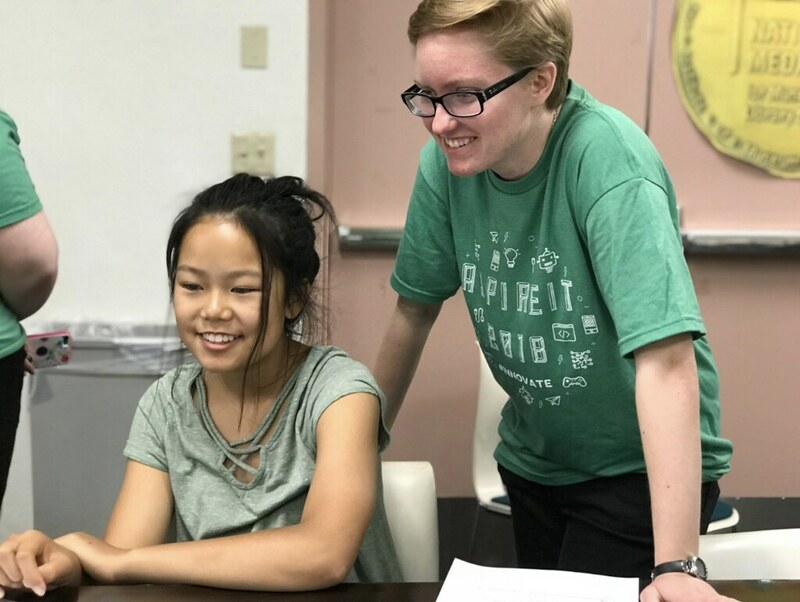 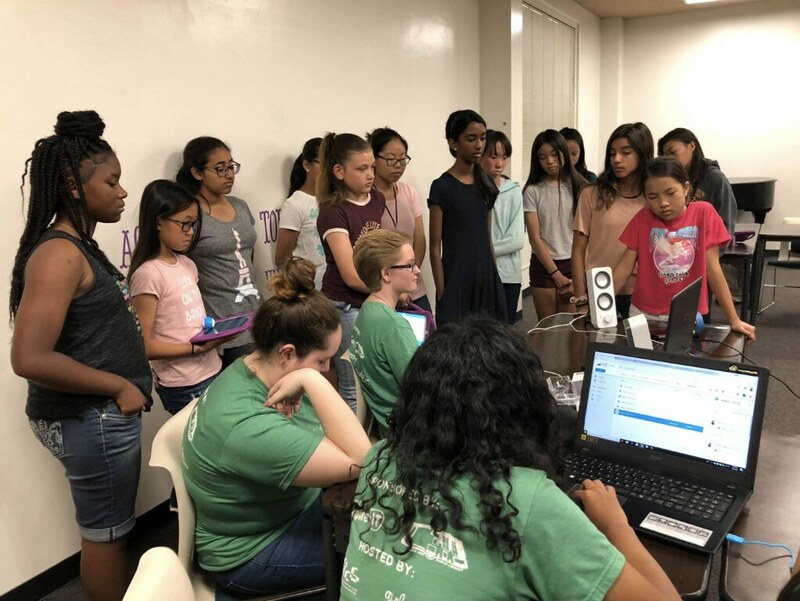 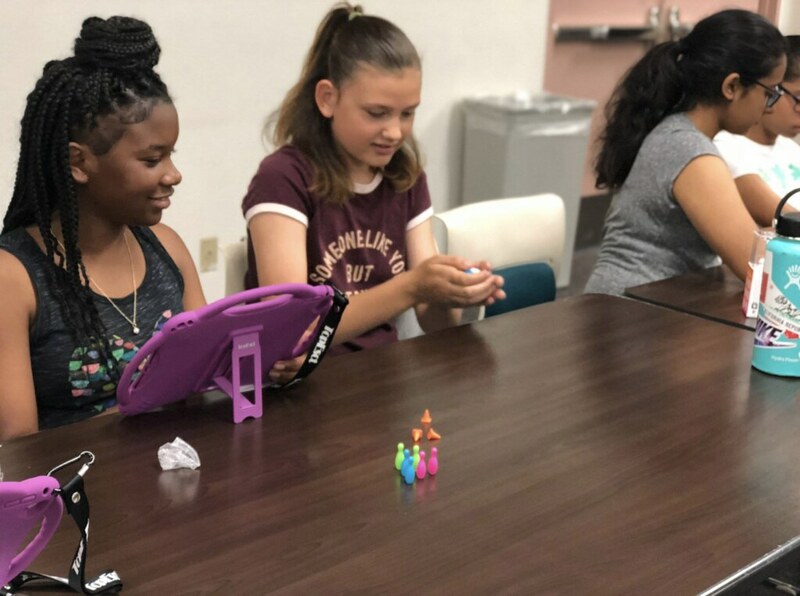 Throughout the five workshops that were held, the mentors introduced technological skills such as game development, web design, paper circuits, and robotics to 15 girls. 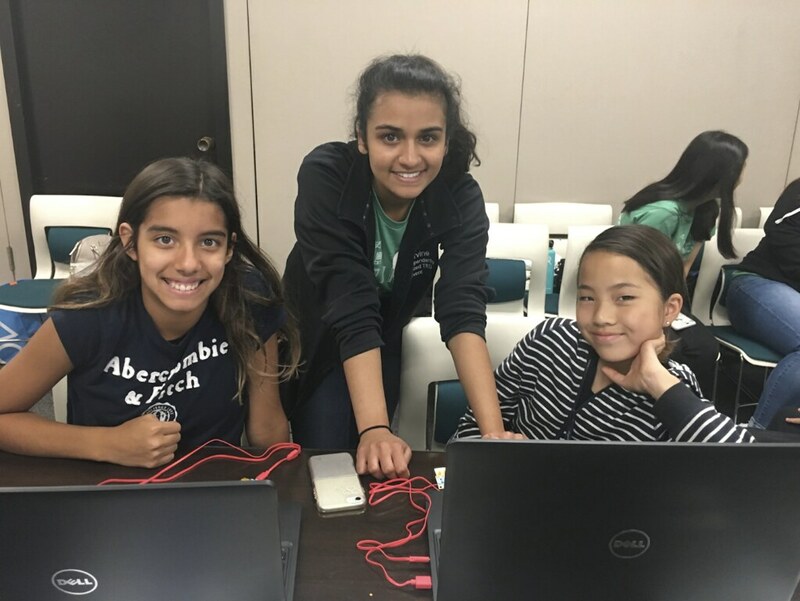 Because the theme this year was #innovate, these girls worked in teams to create a final project using what they learned from our workshops. 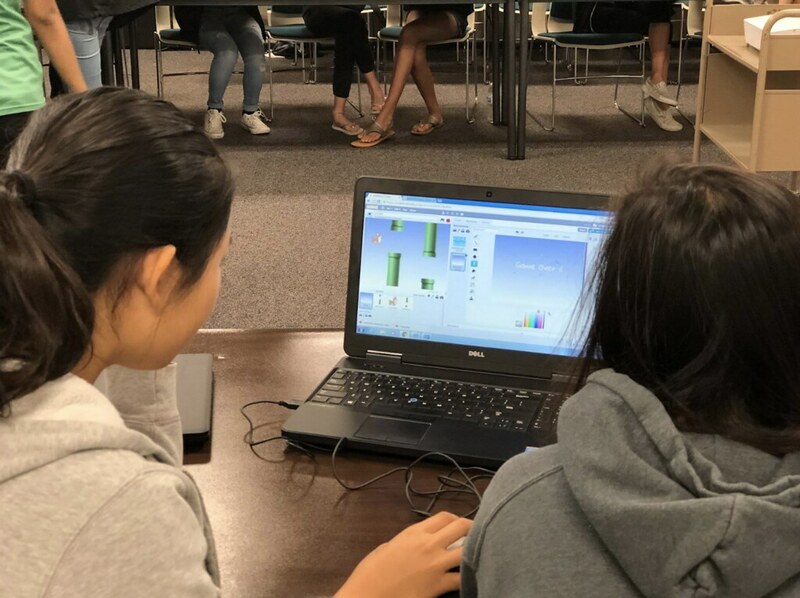 By learning block-based programming through Scratch, the girls developed their own games and animations to showcase at the end of the first workshop and some of them even implemented Makey-Makeys to control their virtual simulation. 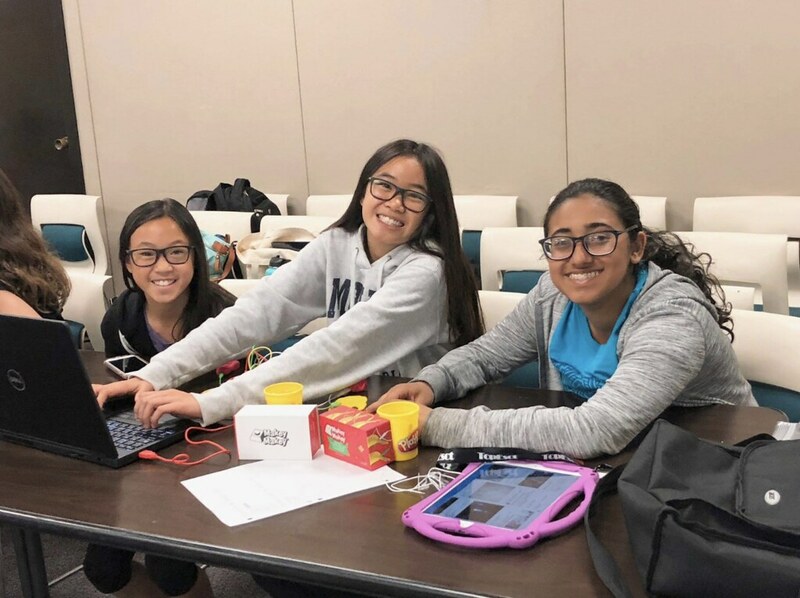 For the second workshop, the girls transitioned from block-based to text-based programming by designing websites with HTML and CSS. 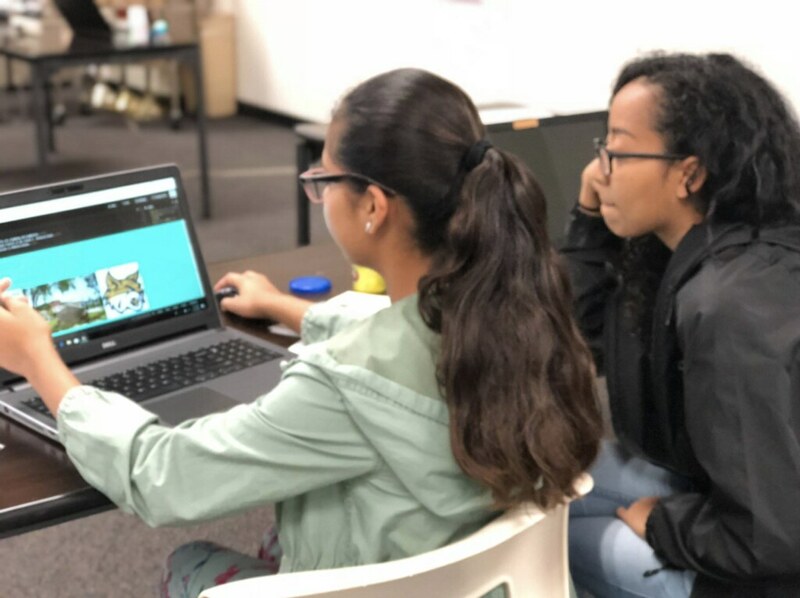 This was a huge hit since the girls were able to express themselves as they personalized their websites, embedding links, pictures, and videos. 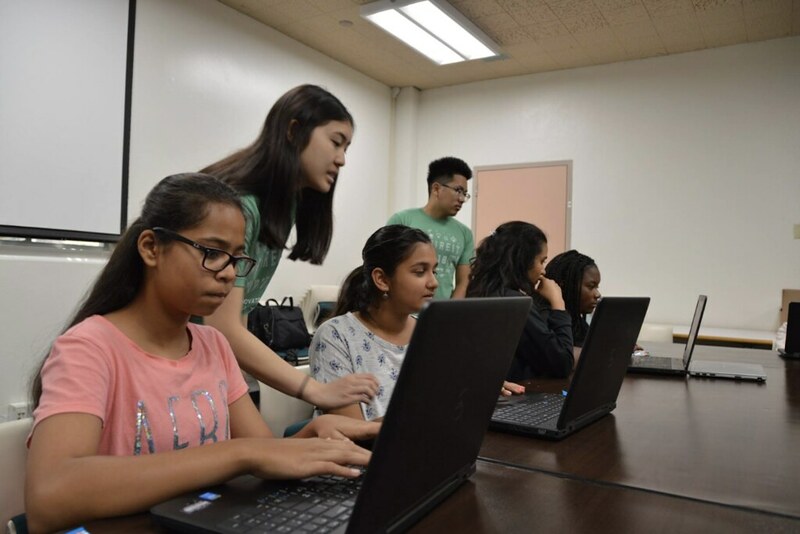 The AspireIT participants’ interest for technology was not the only thing that sparked. 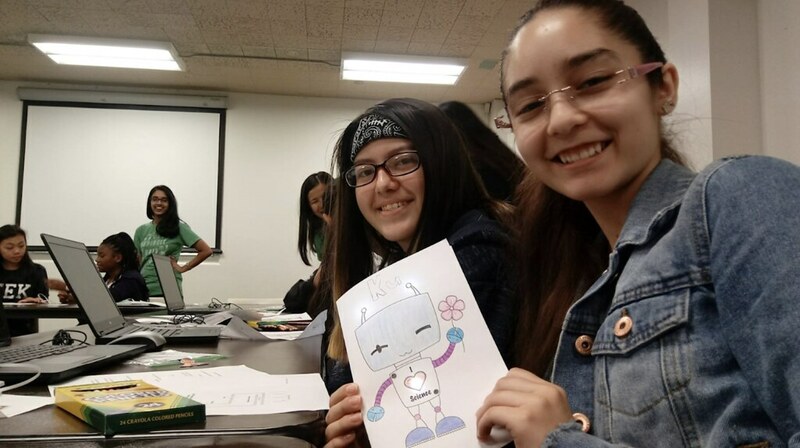 For the third workshop, the girls combined crafts and circuits to light up LED displays such as robots, angler fish, fireflies, light bulbs, etc. 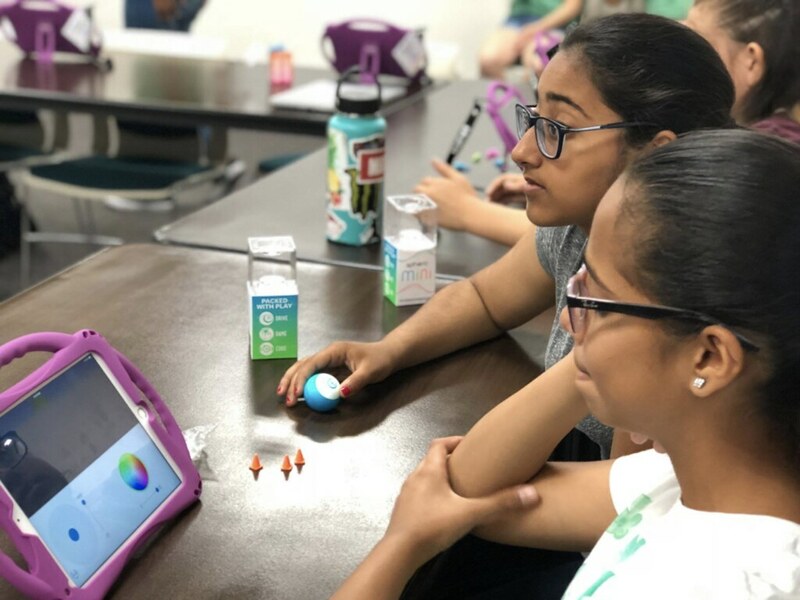 Last but not least, the girls put their block-based programming to the test by coding mini Spheros to complete a maze. 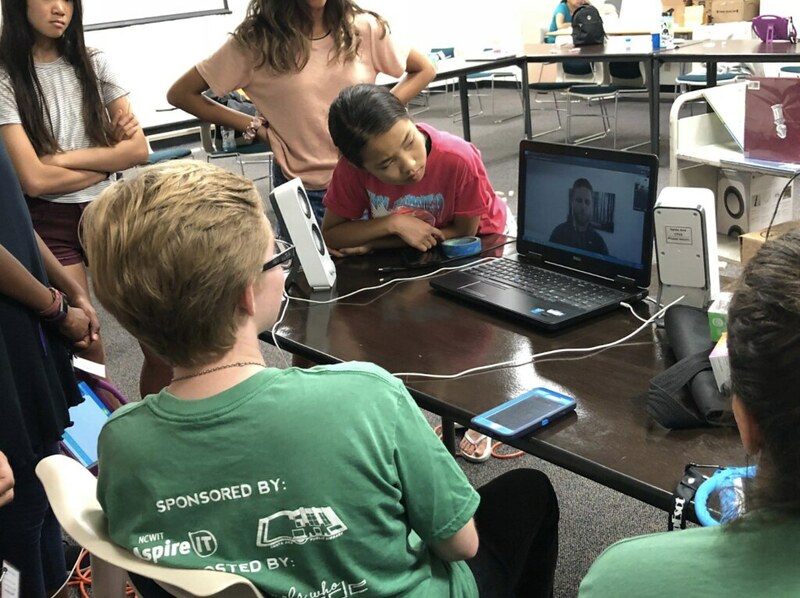 There was also a guest speaker from Sphero who spoke to the girls about his experience educating students on computer science and how the girls could make a difference in the tech industry. 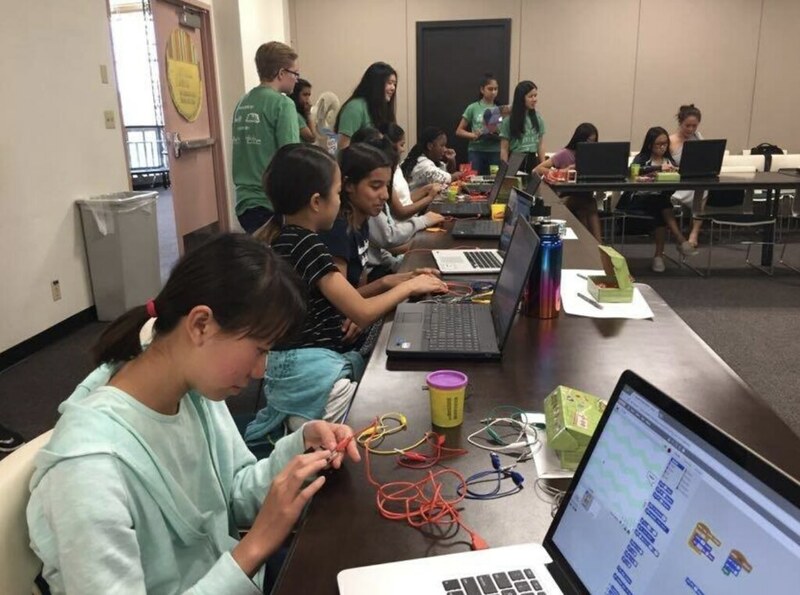 To wrap up the last workshop of the series, the girls formed small teams and built projects ranging from a Scratch game inspired by Flappy Bird to a tutorial website teaching others gymnastic techniques to a makeshift musical band using Makey-Makey and lots more. 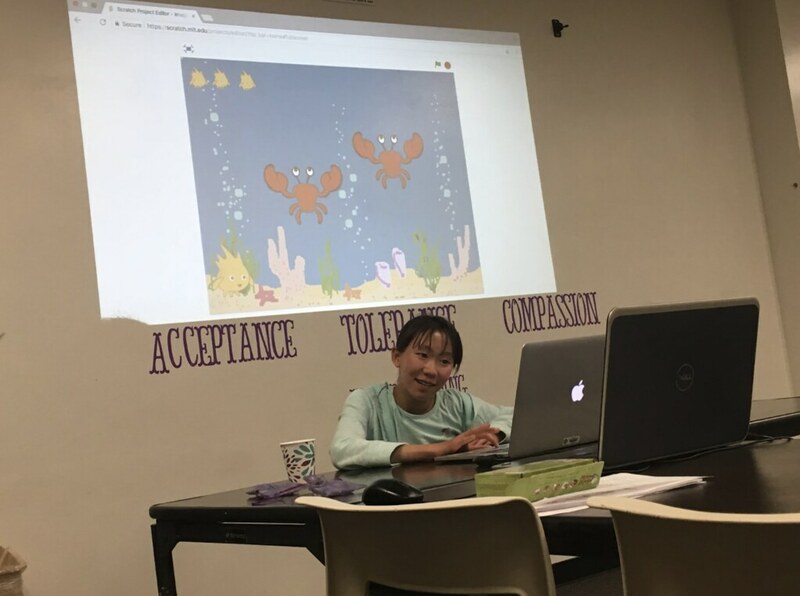 We were impressed as they combined aspects of different workshops for these projects, and were happy to see that parents and siblings of our students attended Project Day!